If you are looking for an activity to vent out all the negative energy gathered inside you due to your chaotic daily routine, then trekking / hiking is your medicine!. This outdoor activity can be a very exhilarating experience for your mind and soul. Planning such a challenging and energy intensive activity will require a proper planning ahead. 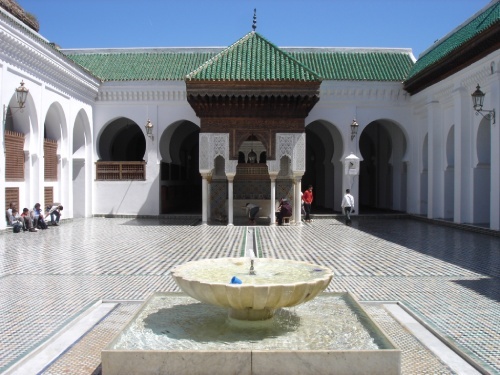 So, before booking your itinerary to trek and hike in the Atlas mountains or any mountains for that matter, let us look at at the things to do before heading there. Always pair up with someone before heading out for a hike. It is important to have a partner with you in case of an accident or a mishap. Double check on trekking essentials such as a water bottle, energy bars and a mini basic first aid kit. Eat before hiking, an empty stomach and trekking do not go together very well. Pack a light back pack, exclude any unnecessary items. If you are planning for a long trekking journey, then make sure to have the right balance between what you need and the ability to carry what you need. Buy a good quality backpack that is robust. Use the right backpack that matches your height, weight in order to avoid any possible back pain. Hiking or trekking boots are always recommended instead of regular gym shoes, but make sure the boots you choose for hiking are not brand new as they might result in blisters or discomfort. In addition to that, try to make an attempt to learn some of the basic words in the local language, although it is not required to have this, but it helps especially if you are going solo and away from towns. Learn just the basic words that you think you will need when you are there (hi, where to go to, best places to stay, nearest police, hospital, hostels..etc). Take your time to plan and set your goals for trekking and hiking, make sure all the tools and equipment are available at your disposal. Take plenty of water, but not too much. Make sure to pack light, it will help you with a long trekking that you might go through. Choose the right backpack that suits this kind of activity. If you are going to be far away from any nearby towns, make sure to take with you a GPS tool or a compass. In addition to that, make sure to have a watch, a fully charged phone, and headlamp. Trekking in the sun especially during summer time can be tough. So, Take an extra caution by taking a hat, sunscreen, sunglasses as a counter measure to protect your self. You will probably have to trek and walk for a long distance. This means that you will be carrying your backpack during that time. Make sure to take rest when needed, and always move your body in consideration to your back weight. Often when we get tired, we tend to loose the proper body alignment when trekking for such a long distance. So make sure to stay focus to avoid any back pains or injuries. The temperature on the Atlas mountains in particular ranges between 10 °C to 25 °C. Lower down the mountains the temperature might be around 30 °C or more. Lightweight layers of clothing are preferred along with a sunhat, sunscreen and sunglasses. It might be cold when you leave at dawn hence you are advised to keep a lightweight top and a warm hat. Keep a waterproof jacket and gloves in your backpack just in case it becomes cold and rainy. During the day, temperature varies from 5 to 20 °c. When high up in the snow the temperature can easily be dropped between -15 to -20 °C, but it can rise to a good 25 to 30°C while climbing up a steep incline during mid-day as the sun shines directly above your head. The most suitable way to overcome this varying temperature during winter is by adding layers of clothing preferably with pockets and front zippers. Keep a pair of gloves and a warm hat to regulate the temperature as you move up or down the mountain while trekking. Invest in good quality trekking boots for winters that are compatible with crampons. I prefer to start my trekking early in the morning, just before the sun rise, that way I can stay cool for a while, and without needing any sunscreen or sunglasses (at least at the beginning). While trekking don’t forget to stop by some remote villages, people there are generally friendly and their hospitality is well known. Drink small sip of water (slowly), and manage the use of water against the journey distance and destination. It is recommended to drink water while sitting, not standing!. If the day is very hot, then avoid trekking, you will get your chance another time. It is best to hike with a friend, don’t attempt to hike by yourself. The mountain terrain can be slippery and challenging. Take some energy bar to stay active and energized. Be friendly with the environment, and if you need to use matches, use them wisely. Be selfish can be good sometimes, sit down like a solo, and look at the surroundings, and do some self meditation and reflections. A lot of fluids are lost while hiking, it is important that you retain that lost fluid balance in your body. Have plenty of liquids, from water to juices or even Ice tea! Your body needs time to recover from any stress, injury or illness that it might have gained during the trip. Give your body some time to heal by resting and relaxing for a few hours or even few days. Freshen up in a spa after an adventurous yet hectic trekking experience. A spa is not just a cleaning ritual but a complete set of experience which involves services such as massage and scrubbing as well. 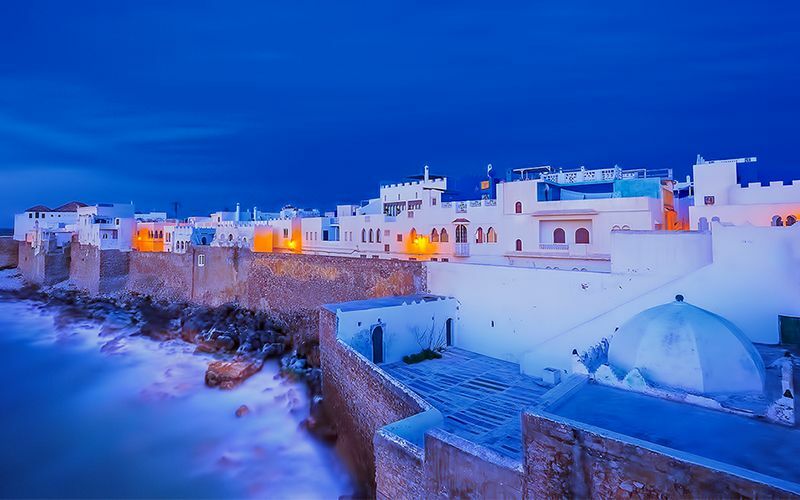 Morocco holds beautiful lands for trekking and hiking enthusiasts. 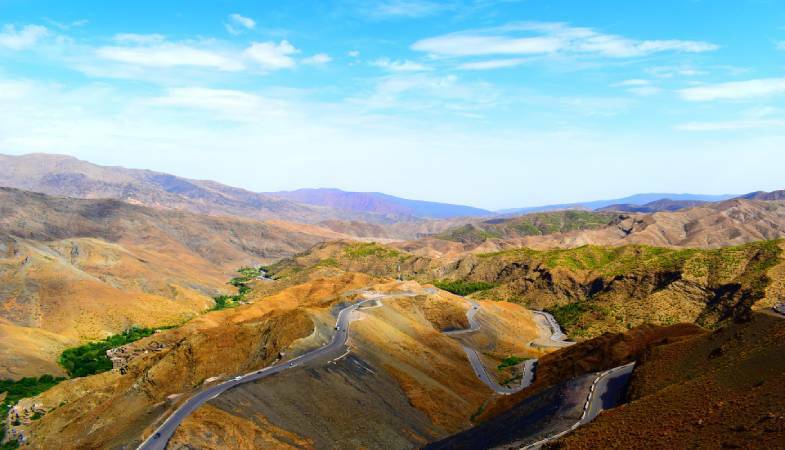 The high Atlas Mountains have a nmber of interesting places to hike and trekc which include: Mount Toubkal, Jebel Saghro, M’goun Mountains and jebel Siroua all waiting to be explored. 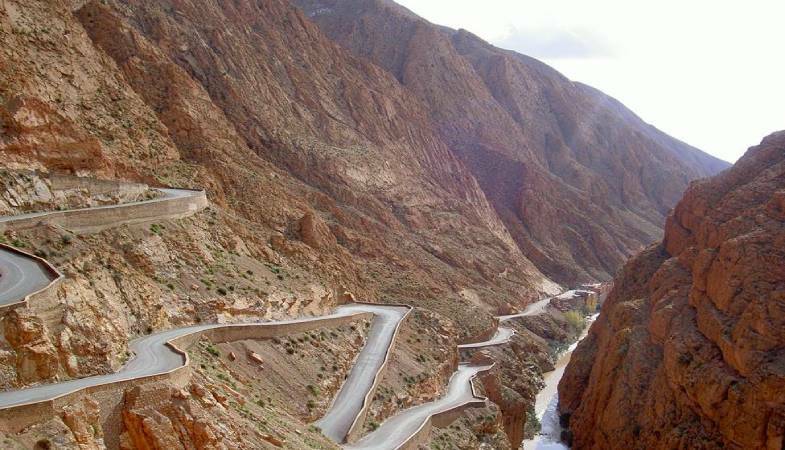 The trip generally involves driving from Marakech to Imlil and then trek for 3000m to Toubkal Refuge. Don’t worry about your luggage, mules are provided to carry the bags!. Although there are arrangements for meals depending on your package still it is better to carry a few snacks with you while trekking. 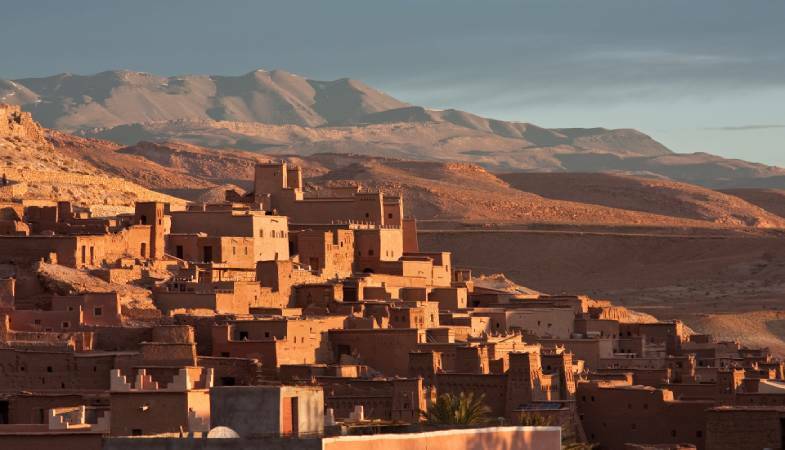 You can choose from a variety of packages for Atlas mountain excursions from Marrakech. During summers, the month of May and September are the best time to visit Atlas Mountain, whereas during winters the month of January and February are ideal for trekking. Toubkal trail is open and approachable all year round. Although it is recommended that you trek during spring or winters, summers are a bit too hot for trekking but still possible. Snow will settle mainly above 3000m, hence the need for ice axe and crampons to reach your destination. Trekking paths on Toubkal trek are in fairly good condition. The Ouanoukrim, as well as the Afella trails, do not hold much traffic as compared to that of Toubkal. You will start the trail from Imlil, a large village situated in the Imlil valley which is surrounded by Apple trees, walnut groves and rushing river. Toubkal refuge is almost a 4 hours uphill walk starting from Imlil. 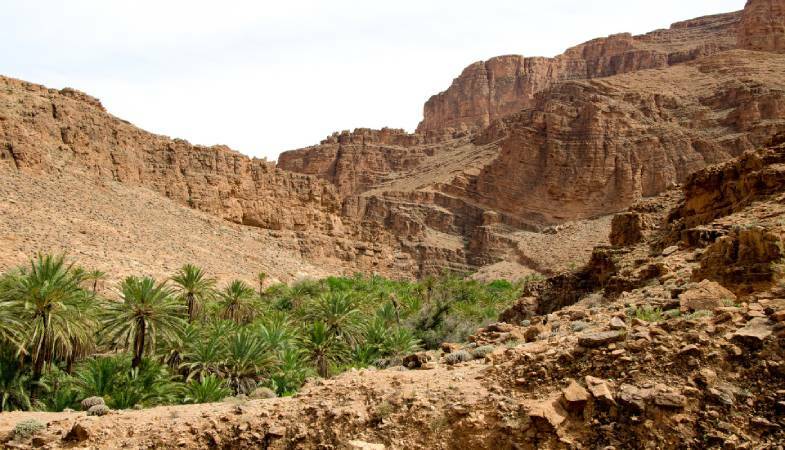 The route requires you to pass the Sidi Chamharouch Shrine (2350m). Gaiters can be very useful to keep snow out of the boots. The Toubkal Summit (4167m) offers absolutely stunning mountain views, and if you can get there then you have reached the highest mountain in North Africa and the Arab world!. There are a number of trekking tours and guides available. 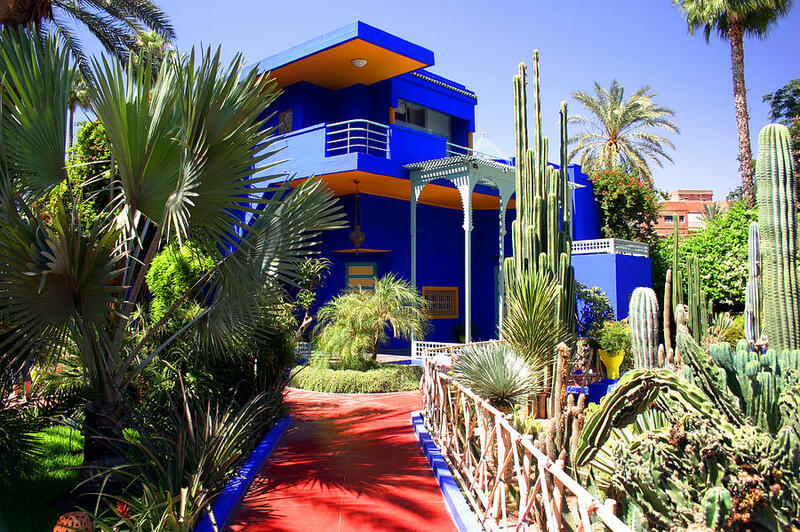 Marrakech seems to be the preferred starting point since it is a popular tourist destination as well as its close proximity to the Atlas mountains. So you can plan from there, and get all the things you need from there. You have reached your destination!. Either you have completed your trekking or you are sitting on the top of a mountain. Your journey has come to a close. In doing so, you learned and discovered new things, like meeting new people, passing by remote villages, eating new food you never had before. Now what to do after you have reached this milestone. Cease the moment; just sit and absorb the serenity around you, watch the sunset, make memories.